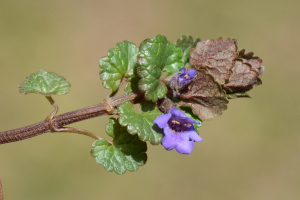 Observation - Ground-ivy - UK and Ireland. Description: Flowering just, in the warm sunshine. Still very small and very close to the ground though. Flowering just, in the warm sunshine. Still very small and very close to the ground though.